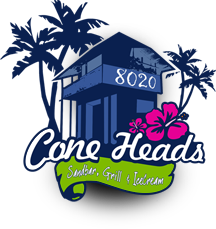 Recently, a few of our customers have inquired as to whether or not Cone Heads 8020 offers gluten free ice cream. As many know, Cone Heads 8020’s ice cream supplier is Blue Bell Creameries. While Cone Heads 8020 does not offer all of these flavors, here is a list of ice cream flavors provided by Blue Bell Creameries that are suitable for those avoiding gluten. The “checked” flavors are those which are offered on a regular or somewhat regular basis at Cone Heads 8020. Wheat flour used in bakery items (i.e. brownies, cookies, etc.) contains gluten. Cone products should be avoided as they contain oat fiber and wheat fiber. If you have any questions, please call (979) 836-7977.